I know many of you, like me, are on a budget. A budget that involves paying for bills, groceries, medical stuff, and all the rest. That budget doesn’t have a whole lot of room for decorating and decor. I don’t want you to think for one minute that keeps you from having a pretty, special home. Far from it! It just means you need to get a bit more creative, employ a bit of elbow grease, and pull out a budget decorator’s magic weapon… paint! Chalk Paint is my absolute favorite for painting furniture and small wood projects. It paints without prepping (besides a good wash), on almost any surface, and gives a gorgeous vintage look. You can easily purchase chalk paint at almost any craft store or home improvement store. Or, you can make your own. 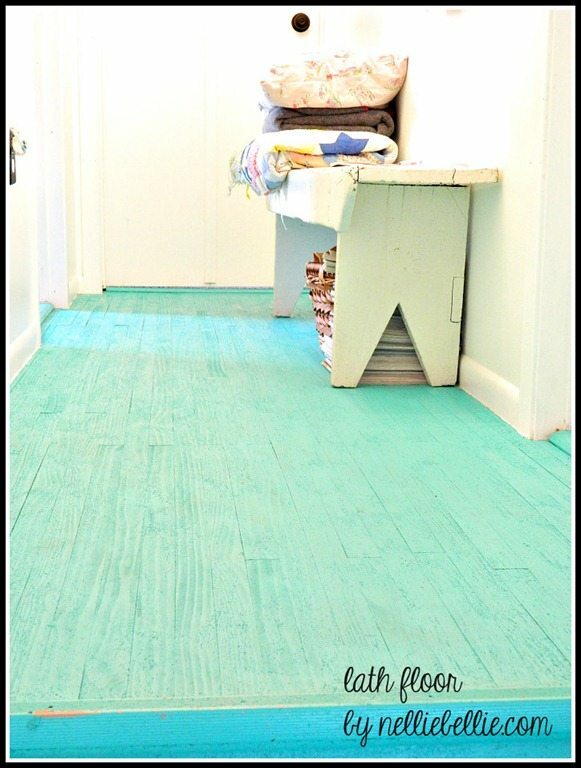 I use THIS chalk paint recipe to make my own. Outdoor paint holds up like nothing else. It requires a bit of prep work and usually multiple coats but will LAST on most any project. 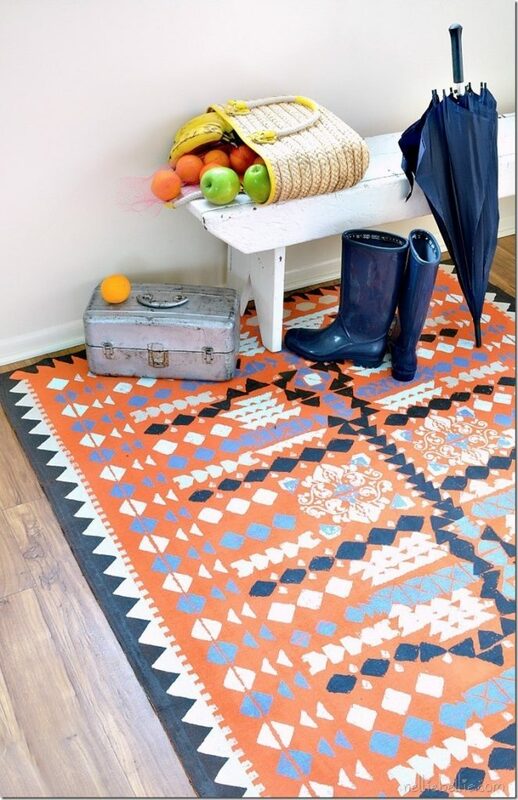 I use it indoors for high-traffic places like the stair railings, DIY area rugs (like the one below), and bathroom projects. Latex Paint is the top choice for walls, of course. There are may sheens to choose from depending on what room you are painting. The best thing to do would simply be to ask for advice when you purchase your paint. 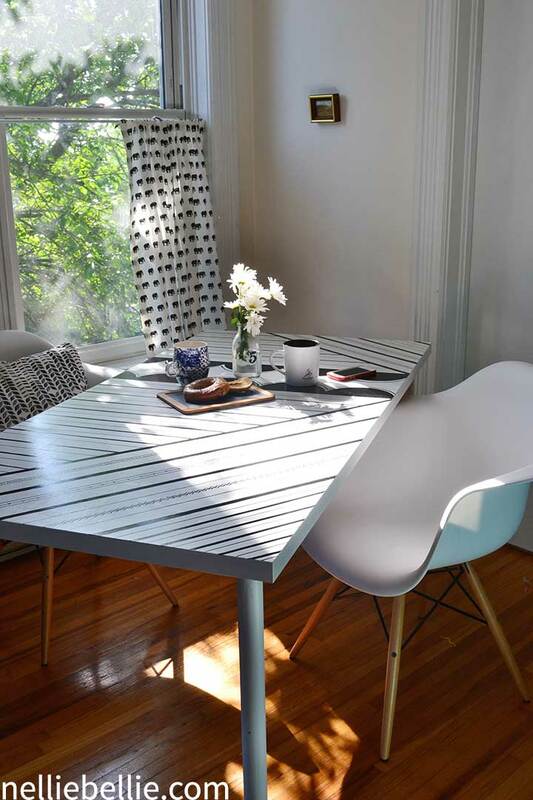 Paint your walls, your floors, paint your kitchen cupboards, paint your porch, paint a plain table. Just paint all your things! 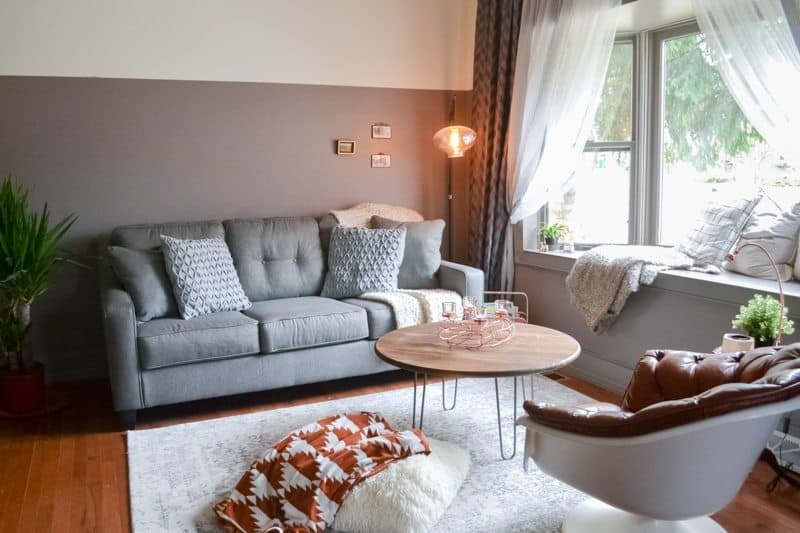 The following are other great ideas for using paint to create a beautiful, budget friendly home. And, of course, don’t miss the 25 Simple Paint Crafts for your home that gives you even more ideas! Shabby Chic Display Shelf Makeover – Happy Deal – Happy Day! Painted Bed Frame – Happy Deal – Happy Day!